Field Notes was a souvenir newspaper commissioned by Anthropologie and distributed at Port Eliot Festival 2012 in Cornwall. 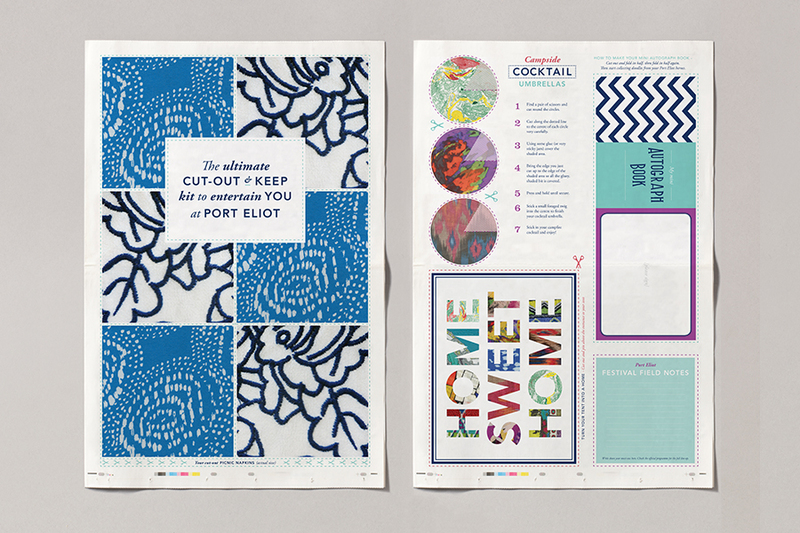 The publication was created to allow Anthropologie to communicate its unique personality, plus give festival-goers an insight into the creative collaborations that formed the basis of their activities and workshops at Port Eliot. An 'Ultimate Cut-Out & Keep Kit' insert allowed readers to cut-out and make cocktail umbrellas to glam up camp-fire drinks, make tents more homely with 'framed' artwork and create a Fred Butler inspired origami bracelet, for added festival fashion points.